​The George S. Lindsey UNA Film Festival is pleased to announce that producer and screenwriter Will Fetters will make a special guest appearance at this year’s film festival, February 28-March 2. The George S. Lindsey UNA Film Festival is pleased to announce actress, speaker and author Nancy Stafford will make a special guest appearance at this year’s film festival, Feb. 28 – March 2. Stafford will also be hosting a Q&A session Friday evening, March 1. Stafford was born in Wilton Manors, Florida. She graduated from the University of Florida with a B.A. in journalism, was Miss Florida in 1976, and competed in the Miss America pageant. 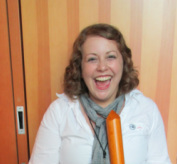 She currently serves as chair of SAT-7 Women for Middle East Hope, which connects women of the Western world to the spiritual and religious practices of women in the Middle East and North Africa. FLORENCE, Ala. – Tickets are now available for the 19th Annual George Lindsey UNA Film Festival Awards Show. The show will celebrate the achievements of independent filmmakers from across the world who submitted their projects to this year’s Lindsey Film Festival. First place winners in each category receive a substantial prize. A special award, gifted in memory of George Lindsey’s dear childhood friend, Clyde “Sappo” Black, is given to the best film made in Alabama. Actors Richard Paul, from the film “Lester”, and Austin Parsons, a UNA Theatre major, will co-host the awards show. The Annual Awards Show will be held Saturday, March 5, at 6:30 p.m., at The Mane Room, 310 N. Pine Street, Florence, Alabama. Tickets can be purchased at Follett University Bookstore on the UNA Campus or at the door. Tickets are $10 for general admission or free for UNA students. The 19th annual George Lindsey UNA Film Festival will be held March 3-5 in Florence. The George Lindsey UNA Film Festival is one of the few film festivals hosted by a university. FLORENCE, Ala. – The state of Alabama will be a major focus in this year’s George Lindsey UNA Film Festival. All 16 submissions from Alabama filmmakers will be screened at this year’s festival, with more local films screened than ever before. Screening at the Kick-Off Party, March 3, is “Undeniably Donnie” by director Mark Slagle, which follows the story of local music artist, Donnie Fritts and features narration from Kris Kristofferson. Robert Campbell’s “The Mourning Hills” is a film about two sisters who run away together and find themselves in the place where their father committed suicide. “The Mourning Hills” will screen at 8 p.m., March 3, at The Mane Room. Five other Alabama films will be screened the same day at The Mane Room. Evan Owens’ “Tutwiler” explores the hardships inmates face at Alabama’s only all-female prison. “Ruby” by Mary Kathryn Phillips is a film about a female runner who struggles to continue pursuing her passion after an accident leaves her wheelchair bound. These films, as well as seven other Alabama films will screen at The Mane Room, Friday, March 4. Thursday and Friday films will screen at The Mane Room, 310 N Pine St. Florence, Alabama. All Saturday films will screen at the UNA Communications Building, 131 1 Harrison Plaza, Florence. Screenings are free and open to the public. The 19th annual George Lindsey UNA Film Festival will be held March 3-5 in Florence. The George Lindsey UNA Film Festival is one of the few film festivals hosted by the university. For more information on the 2016 George Lindsey Film Festival: www.lindseyfilmfest.com, or contact the film festival staff at lindseyfilmfest@una.edu or 256-765-4592. FLORENCE, Ala. – Adolescent issues are a major theme of selections screening at this year's George Lindsey UNA Film Festival. Films from outside Alabama include Jarratt Taylor’s “Fitting The Description in North Portland” about two high school students in Portland, Oregon coping with police violence when it happens to a fellow student. “The Red Thunder” by director Alvaro Ron is about a teenage girl who steals her mom’s car and makes an unforgettable discovery. Kira Bursky’s “Treehugger” follows the story of a young girl whose naiveté leads her into trouble when a boy takes advantage of her. 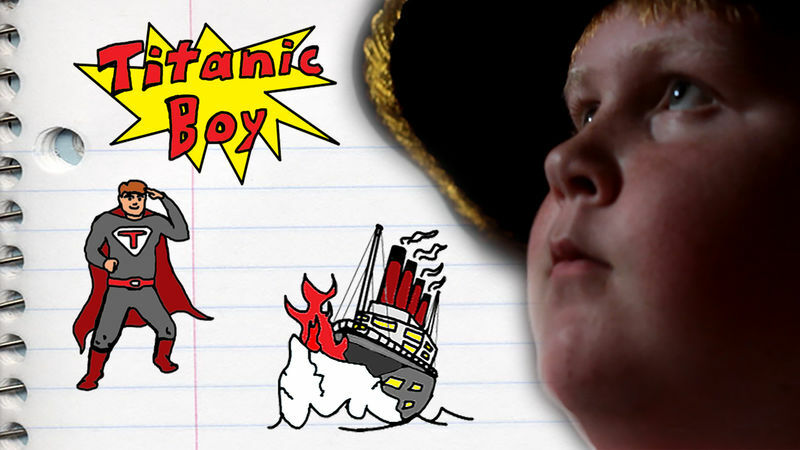 Local films include “Titanic Boy” by director Andrew Reed, a documentary about a young boy from Winfield, Alabama whose love of the movie “The Titanic” is a constant source of friendship and comfort to him. “Casual Conversation,” “The Process” and “The Pragmatic Vestige” are directed by Florence, Alabama high school students beginning to explore the art of filmmaking. Thursday and Friday films will screen at The Mane Room, 310 N Pine St. Florence, AL. All Saturday films will screen at the UNA Communications Building, 134, 1 Harrison Plaza, Florence. Screenings are free and open to the public. For more information on the 2016 George Lindsey Film Festival: www.lindseyfilmfest.com, or film festival staff atlindseyfilmfest@una.edu or 256-765-4592. Florence, Ala.- On Thursday, Feb. 12, 2015, at 7 p.m., the University of North Alabama, George Lindsey UNA Film Festival, and AIDS Action Coalition will be hosting a screening of the documentary project “Story of a Girl” by filmmakers Jonathan and Alan Smith, followed by a Q&A with the filmmakers and highly-acclaimed award-winning HIV education activist and blogger Josh Robbins of imstilljosh.com. This event will take place in the screening room of the U.N.A Communications Building located on North Pine Street in Florence. This event is free and open to the public. Tickets are not required, but reservations are recommended. To secure a seat, or for more information, please contact Kevin McDonald at 256-536-4700 ext. 125. The AIDS Action Coalition is a 501(c)(3) nonprofit organization located at 600 St. Clair Ave. Building 6, Suite 14 Huntsville, Ala. 35801. The mission of the AIDS Action Coalition is to stop the spread of HIV & AIDS in the 12 counties of North Alabama and care for people and families living with the disease. With clinics in Huntsville and Florence, AAC provides free HIV testing, prevention and education programs, housing assistance, substance abuse treatment, medical treatment and supportive care to its clients regardless of their ability to pay. For more information about the AIDS Action Coalition please visit www.aidsactioncoalition.org. Lindsey Festival to hold special Screening of "Guest House"
The George Lindsey UNA Film Festival will host a special screening of the award winning independent film “Guest House” on Friday, March 7, 7:30 pm. The screening will take place in the Communications Building at the University of North Alabama, Room 131. Based on the true-life experiences of director Aaron Wolf, “Guest House” is the story of a young, middle-class suburbanite who loses his job and fiancé, moves into his parents’ guest house, and is consoled by the suddenly animated relics of his childhood. 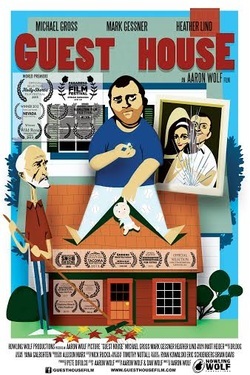 “Guest House,” which stars celebrated actors Michael Gross, Heather Lind, and Mark Gessner in the lead role, has been selected for screening at many of the country’s top film festivals, and took the Grand Jury Award at the 2013 Nevada Film Festival, the Award of Excellence at the 2013 New York Los Angeles International Film Festival, and was Audience Choice winner at the 2013 Hampton Film Festival, among others. Director Aaron Wolf and star Mark Gessner will be in attendance and will participate in a Q&A after the screening. Previous guests to the festival include Oscar winners Billy Bob Thornton and Ernest Borgnine, Michael Rooker of “The Walking Dead, “Back to the Future” Writer/Producer Bob Gale as well as cast members James Tolkan and Claudia Wells, “Million Dollar Man” Lee Majors and veteran actor Rance Howard, among others. For more information on the 2014 George Lindsey UNA Film Festival, contact Cynthia Burkhead at 256-765-4592 or e-mail lindseyfilmfest@una.edu. The George Lindsey UNA Film Festival is now accepting entries for 2014. Entries may be submitted through Withoutabox.com. The early deadline for submissions is July 1. The regular deadline is set for August 1. The late deadline is September 1. The extended WithoutABox deadline is set for October 1. The cost of entry increases with each deadline. The festival, in its 17th year, is scheduled for March 6-8. Festival prizes include $500 for the winner in each category, as well as a $2,000 prize to the winner of the Clyde “Sappo” Black Sweet Home Alabama Award, honoring the Best of State entry filmed in Alabama. Special jury honors will also be awarded for Best of Show, Best Story, Best Directing, Best Cinematography, Best Actress, Best Actor, Best Editing, Best Sound Design, Best Score and Audience Choice. For more information on the 2014 George Lindsey UNA Film Festival, call 256-765-4592 or e-mail lindseyfilmfest@una.edu. Ballplayers of all ages and abilities came together Saturday morning to celebrate the dedication of the George Lindsey Dream Field. “Today is a day that many of us have waited for a long, long time,” Mayor Sonny Posey said regarding the opening of the accessible sports facility. The baseball diamond’s rubber surface and inlaid bases are designed to accommodate special needs athletes. Members of Dream Team, a local league that promotes inclusiveness, can now play their games without fear of injury due to falls or rain showers that make the field too wet for players with limited mobility. The vision for an accessible field in Jasper predates the creation of Dream Team in 2009. “This project has been discussed and we’ve tried to find ways to do it over the past several years. Finally, we were able to do that,” Posey said. 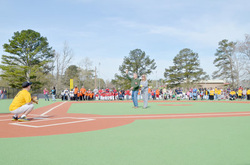 The Dream Field is one of several projects funded by a $2 million loan approved by the Jasper City Council in February 2012. Public works director Joe Matthews said the city has spent $350,000 on the Dream Field so far. The rubber surface alone cost $130,000. Matthews said $27,000 has also been donated to the cause by local individuals. Former District 4 representative Lee Swann was a strong supporter of Dream Field during his final term on the council. Posey noted during Saturday’s ceremony that the construction of the field was largely due to Swann adding it to a list of capital outlay projects that was discussed at length by the council last year. Lindsey, who passed away in May 2012, raised more than $1 million for the Alabama Special Olympics over 17 years through a charity golf tournament that he founded in Montgomery. Tickets for the George Lindsey UNA Film Festival Awards Show are now on sale at the Wine Seller, 324 N. Court Street in Florence, and at the UNA Follett Bookstore. Tickets are $10, General Admission. Free tickets are available for UNA Students and are available at the UNA Follett Bookstore. The 16th Annual Awards Show will be held on Saturday, March 2 at the UNA East Campus, 1640 Tune Avenue, Florence. The evening begins at 6:30 p.m. with pre-show music by Melissa Bain. Actress and festival advisory board member Natalie Canerday will MC the awards program which begins at 7 p.m.; following the awards program, there will be an after party, with Chris Lucas performing. For more information, contact the Lindsey Festival by email at lindseyfilmfest@una.edu, or call 256-765-4592. 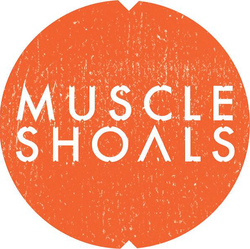 Lindsey Film Festival to Host Alabama Premiere of "Muscle "Shoals"
FEBRUARY 12, 2013 - The critically acclaimed “Muscle Shoals” documentary that captivated audiences at the Sundance Film Festival will premiere to its home audience as part of The George Lindsey UNA Film Festival. The feature-length film, which was directed by Greg “Freddy” Camalier, traces the history of Muscle Shoals music through the people who created it. The first local screening, which is scheduled for February 27, will mark the official opening of the festival. The star-studded VIP event will feature the documentary as well as live musical performances by some of the biggest names in Muscle Shoals music history. Grammy award winner John Paul White of the Civil Wars is coordinating the entertainment. Tickets for the screening and musical performances will be $100 and table sponsorships are available. Proceeds from the VIP concert will go to the Alabama Music Hall of Fame and to support local exhibits that pertain to Muscle Shoals music. The event will be held at the Marriott Shoals Conference Center in Florence, Alabama. Another screening of the film is scheduled for Friday, March 1, at Norton Auditorium. Cynthia Burkhead, co-director of the George Lindsey UNA Film Festival, said her team is “very excited” about the opportunity to partner with the local music community for the screenings. “We are honored that our festival was selected as one of the venues for this amazing documentary,” said Burkhead. A Q&A session with local music legends will follow the UNA screening. Tickets for the February 27 event may be purchased online at http://muscleshoals.eventbee.com/ Sponsorship details can be obtained by emailing info@fame2.com. Tickets for the UNA screening are $20. For information about the March 1 screening call 256-765-4592,email lindseyfilmfest@una.edu, or check the festival web site at www.lindseyfilmfest.com. The George Lindsey UNA Film Festival will participate in a week-long Soles4Souls clothing drive during this year’s event. Soles4Souls works internationally collecting and distributing shoes and clothing to offer relief to the victims of abject suffering and also to support micro-enterprise efforts to eradicate poverty. Melissa Daniel Bain, Shoals resident and friend of the Lindsey Fest, is the coordinator of the organization’s Travel4Souls division, which organizes teams traveling to international sites to assist Soles4Souls in their relief efforts. Currently, Melissa is organizing a trip to Guatemala for a team comprised of 20 Shoals Area residents or natives, who will spend 5 days in Chiquimula, Guatemala washing feet, providing about 1000 pairs of shoes, repairing a family’s roof, and working with a group of malnourished orphans. Their partners in Guatemala are Josh and Jessica Byrd, also Shoals natives. During the festival, collection boxes will be located in the UNA Communications Building lobby and at the festival information table in the Guillot University Center. Clothing of all types can be dropped off at these locations or at various collection sites across the Shoals. More information about Soles4Souls can be found at their web site, http://www.soles4souls.com/. Educational programming at this year’s George Lindsey UNA Film Festival to include a filmmaking workshop for theatre students from Florence Middle School. The workshop, scheduled for Friday, March 1, will be conducted by Mary Ellen Iatropoulos, the Director of Education at the Children’s Media Project in Poughkeepsie, New York. During the four hour workshop, students will produce and edit a short film. Iatropoulos holds a BA in English from Vassar College and an MA in English from the State University of New York – New Paltz. 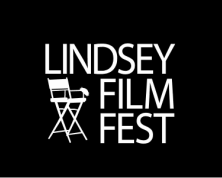 Through the workshop, the Lindsey Fest continues to honor founder and namesake George Lindsey’s desire that the festival offer quality film education to the Shoals community. FLORENCE, Ala. – Veteran actor Michael Rooker, currently starring in AMC’s “The Walking Dead,” has accepted a position on the George Lindsey UNA Film Festival Advisory Board. Rooker was born in Jasper, Ala., also the hometown of festival namesake George Lindsey. After graduating from The Theatre School at DePaul University, he worked in theatrical productions until making a spectacular film debut in 1986 as the sociopathic title character in “Henry: Portrait of a Serial Killer.” Rooker followed “Henry” with memorable roles in “Cliffhanger,” “Mississippi Burning,” “Days of Thunder,” “Slither” and “Blood Done Sign my Name,” among others. Since 2010, he has played the ultra redneck Merle in “The Walking Dead.” He is also a playable character in the “Call of Duty: Black Ops” video game series. 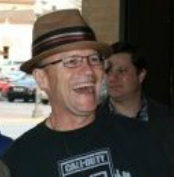 In 2012, Rooker appeared as the special guest of the George Lindsey UNA Film Festival. He joins actors Natalie Canerday (“Sling Blade,” “October Sky”) and Danny Vinson (“Walk the Line,” “The Curious Case of Benjamin Button”) and Jim Clark, author and president of The Andy Griffith Show Rerun Watchers Club, on the festival advisory board, which also included Oscar-winning actor Ernest Borgnine until his death in 2012. FLORENCE, Ala. – The George Lindsey UNA Film Festival has announced the films and screenplays selected for exhibition during the 2013 festival Feb. 28-March 2. The projects, listed below, were selected from more than 130 submissions from across the world. The films and screenplays will now compete for awards in each category. Screenplay winners will be announced before the festival. Winning films will be announced March 2 at the 16th George Lindsey UNA Film Festival Awards Show. For more information on the 2013 George Lindsey UNA Film Festival, visit www.lindseyfilmfest.com, or contact the film festival staff at lindseyfilmfest@una.edu or 256-765-4592.